Before you install Circumference, it's important to know a few things before you begin. With this theme, you get a lot of files and folders within the downloaded package that may seem confusing as to what each one is for. I recommend taking some time to explore the contents so that you will have an idea of what is included. We are also on the assumption that you have some basic understanding of how WordPress works. However, if you are new to WordPress, we recommend you check out wordpress.org for documentation for installing and using WordPress. You may also want to consider checking out www.wp101.com for video tutorials about how to use WordPress. If you need help with understnading the basics of HTML and CSS, you will want to bookmark www.w3schools.com as a reference. Support for this theme includes helping you with features and functions of the theme, bugs you may find, or if you need to know where specific code is. What is not included, are tutorials on how to customize your theme outside of the theme option settings, HTML or CSS tutorials. 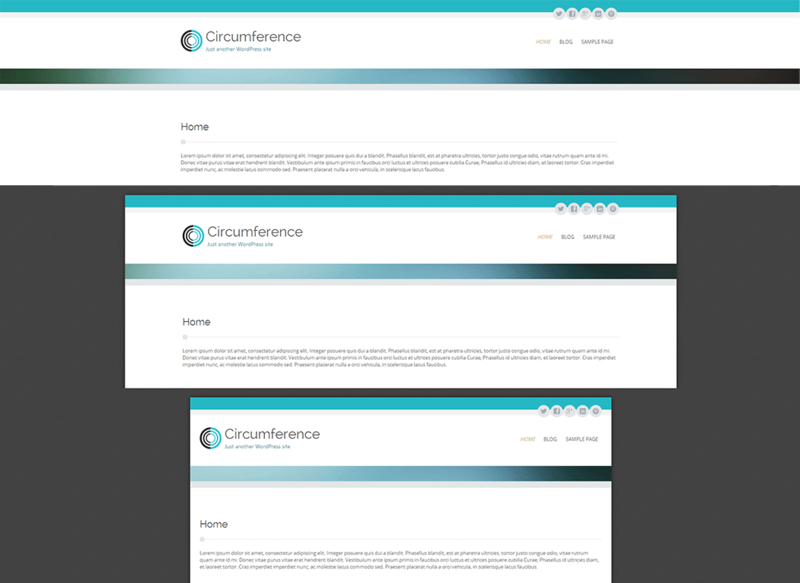 Circumference helps you out by giving you a premade child theme that you can install. This is found in the original downloaded package with an installable circumference-child.zip theme file. You would simply install this like any other theme, then activate it. It's important to know that before you do this, make sure that the parent theme (Circumference) is installed. If you are experienced with WordPress, or know how to install themes, you can skip this tutorial. However, if you are new or a beginner, this tutorial is for you. A common issue that can occur with users new to installing WordPress themes is a "Broken theme and/or stylesheets missing” error message being displayed when trying to upload or activate the theme. This error message does not mean that the theme you have purchased is broken, it simply means it has been uploaded incorrectly. Luckily, there is a very easy fix. Please follow the steps below to rectify this issue or watch the screencast. Download the theme package zip file, unless you still have this from the first download. Do NOT upload the this folder. Open up the circumference-package folder. Browse the contents and find the actual theme file named circumference.zip and unzip that to your desktop. If you look inside the this folder, you will see a “style.css” file. This is how you know you have found the theme folder. Using an FTP client, upload ONLY the theme folder to your “/wp-content/themes/” folder so that the "circumference" theme folder will go into the "/themes/" folder. Login to your WordPress admin panel and activate the theme. 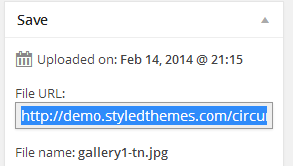 Optional: If you do not wish to manually upload the theme only folder to your “themes” folder, there is an option. You can upload the circumference.zip theme file using the WordPress theme installer. The most common method of installing a theme is to use the built-in installer that comes with WordPress. Log into your dashboard and go to Appearance >> Themes >> then click "Add New"
This video shows you how to install Circumference. You can view it full window for more detail. Circumference Lite offers several features, but some require plugins if you decide to use them and should be considered as optional. You will need to download and install these because they are not included in the download of this theme. I do this so that everyone can choose which plugins they want to install, but it also ensures the most recent version of each plugin is installed. Do a search for the name, click Install, and Activate. UpDraftPlus - This is a backup plugin that creates backups of your complete site, plugins, uploads, and database. Dynamic Widgets - This lets you publish widgets to your choice of pages, posts, etc. Hide Title - Allows you to hide the titles of posts or pages, individually. Hupso Share Buttons for Twitter, Facebook & Google+ - This adds social icons to share a post to your friends. Simply Exclude - This gives you the ability to exclude categories, posts, and more from different parts of your website. I used it to exclude special post formats from the main blog. Circumference uses the WordPress Customizer which is a feature WordPress offers you to make changes to your active theme. 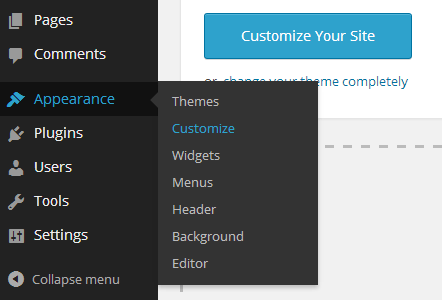 Every theme will load up within the customizer, but what will be different from theme-to-theme are the settings and options they offer. The customizer gives you a live preview window of your website, and within the left column, you will see a series of tabs, each labeled as to what they are for. In your Dashboard home page, click on the big button labeled as "Customize Your Site"
The reason for using a child theme is because if updates are available for your theme, in this case the parent theme of Circumference, you won't lose any custom changes because they were done in the child theme. How this works is that the child theme inherits the styles and functionality of the main theme (the Parent theme), so any updates that happen, it will inherit those. However, if you made any custom changes to the theme, these exist in the child theme and not the parent theme, which is why when you update, you don't lose the changes. If you plan to make custom changes to any theme files, either now or in the future, use a child theme. If you plan to "only" make changes to the stylesheet, then use a plugin for editing CSS (no child theme needed). When making core theme file changes with a child theme, this is done by copying the file from the parent theme and uploading it to your child theme, while maintaining the same file structure as the parent theme. So for example, if you wanted to modify the header.php file in the parent theme, you copy that file and upload it to your child theme to the exact same location as the parent theme. Note:The child theme duplicates the same structure and layout as the parent theme. Before you install the child theme, always make sure the parent theme is installed. It does not have to be activated, just installed, otherwise you will get an error. When you activate a child theme, WordPress will see this as a "NEW" theme activation. Therefore any theme options you set with the parent theme will NOT be inherited by the child theme; you have to do them over again. As you can see, WordPress will automatically generate thumbnails based on the settings (sizes) whether you want them or not. In fact, my media library went from 17 photos to a whopping 56! Why would you want to remove the settings? Because your hosting package has a certain amount of diskspace given to you, so if you upload a lot of images on a regular basis, that diskspace is going to get filled up fast and you will be billed by your hosting company for additional space requirements. Plus, if you keep regular backups of your site (as you SHOULD be doing), it means your backup files will continuously get bigger and bigger over time. If you notice in the first screenshot above, the Cropping and Organizing under Uploading Files are checked. I would also recommend unchecking both. For cropping, I prefer to do my own cropping for more control over what parts of the image are to be cropped. For the Uploading and organization of your photos, I really cannot stand how WP organizes photos and other media. If you have a lot of uploads over a span of a year and you realize you need to find one to edit, good luck! Very hard to find with the 10's if not 100's of sub folders it creates. I prefer to have them go directly into the uploads folder -- all together. Recommendation is to make each media size setting as 0 (zero) and uncheck both of the checkboxes. When you need an image for something, crop the image yourself, optimize it, size it, and then upload it. If you would like to have one thumbnail size generated for a particular use and to maintain an easy way of having the same size for every photo you upload, you can change any of the settings to include the thumbnail size you want. So if you want a particular thumbnail size (that gets automatically cropped as well) for your blog featured images, you can decide on the size you want. I won't go through every menu in detail, but we will begin with a quick introduction and then dig right in and make our site's main menu (Primary Menu) for our website. With the Menu Settings, choose "Primary Menu" as your menu location. Please keep your logo to a reasonable size because there is only so much room to put one in when your site menu is using the Primary Menu location (positioned to the right of the logo container). You get more flexibility if your site title and logo are one image, but for a logo with a text based title and tagline (like the demo site), your logo should be close to the size you see. If you need a bigger logo area, then you will need to put your main menu into the Secondary Menu location (below the logo). The most common change people make with WordPress now is moving the blog further into the site and create a custom page for the front of their site; also known as a static front page. I will show you how this is done which is what I did for the live demo site for Circumference. What you put on your custom front page will be up to you, but this tutorial will get you started with a foundation to build on. Create one page and call it "Home" or whatever you want. Choose a page template for your new front page. Under "Front Page Displays", select the Static Page option. Now you have a static front page and your blog is not further in your site. Plus, you now have a Home and Blog menu link on your main menu. Just like the demo website shows the Media Boxes, this tutorial will help you make them. You can have 1, 2, 3, 4, or even 6 media boxes, but ideally, the suggested column count would be 2, 3, or 4. Media Boxes can be used for a variety of things, but what you put into them will be up to you. You should also have some basics of HTML and CSS to get creative with them. Replace the above image and text with your own and then you have a basis for the remaining columns. What About Changing Column Count? Changing columns to say 4 instead of three, you will change the "col-md-4" class to be "col-md-3" because this theme works off a Bootstrap framework and is laid out with 12 grid columns in width. If you want 2 columns, then each column needs to take up 6 grid columns in width, which means 6 into 12 = 2 columns. Your div class would then be class="col-md-6" so you get 2 columns. Or you can use custom fields to create custom header captions without changing the header background. As mentioned, you get a nice muli-coloured blue header image which you can keep, remove, or add more images to create a random rotating function when using the WordPress header feature. I should also mention that if you want to accommodate the largest monitors that have 2560px resolutions, you will want to use images that are that size in width. However, if you cannot make that size, try for 1920px. The height can be any height you want, but if you plan to use this header background with sliders or any other content within the banner area, I recommend making the height big enough such as 500px. If you plan to only use the header background for custom header captions (like you see in the orange banner screenshot above), then you only need on that is around 100px in height. Fill in the full URL for each of the social networks you belong to. Make sure you include the http:// part in your url. 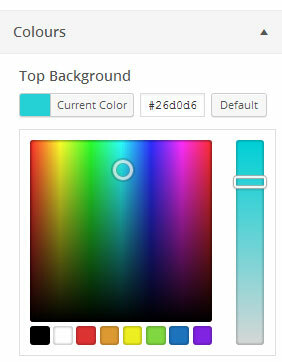 Changing colours of Circumference Lite is very easy with the built-in colour selector that is added to the WordPress customizer for this theme. You will find colour selectors on other tabs of your customizer, not just on the "Colours" tab. Content summary with the classic "Read More"
Using the content summary method is the most common because when you create your post, you select where you want to split your post with a "Read More" tag. This gives you a shortened version of your post on the front-end of your website with a Read More button or link. 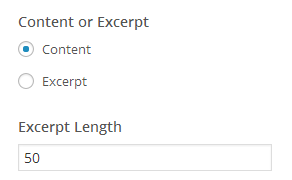 You actually get a couple excerpt options where the first takes a certain number of words from the beginning of your post, while the other lets you create your own "custom excerpt" instead of using the content from your post. It's also important to know that excerpts DO NOT inherit formatting such as bold, underline, italic, etc. They also strip out media such as images. Dynamic Widgets - A plugin that offers extensive options but does come with a learning curve, albeit very powerful features. Drag any widget into a widget position and at the bottom of this widget, choose how and where to publish it. Drag any widget into a position and at the bottom, you can select where to show the widget. WordPress has its own gallery shortcode that generates a gallery for your post or pages...even adding on into a text widget is possible. Styling is usually provided from the default WP theme such as Twenty Thirteen, Twenty Fourteen, and others that may be available. Circumference uses the default gallery styling as a foundation, but with a little enhancement of design to give you a little more for your gallery. First thing you want to do is prepare your images that will be included in your gallery. I'm one to always stress consistency with image sizes, but you do not have to have each photo the same size. I should also mention that with a previous tutorial, I mentioned about clearing your Media Settings (thumbnail sizes) and recommended you create your own sizes as you need them. If you do not have the capability to crop and size your photos, you can set your thumbnail media setting to be something you want WP to crop your photos as you upload them, even if your photos are different sizes. Note: This tutorial will be based on each image being 800 x 355, so when the gallery is created, the thumbnails will be close to the 255 x 170 in size to the demo. Create a page or post where your gallery will be placed. If you are adding it to an existing page or post, open it in the editor. In the lower corner, click on "Create a New Gallery"
Switch your editor to the "Text" view and on the gallery shortcode, add this: size="medium" so that your thumbnails will be bigger than the default small size. Publish or Update your page. If you like the way the live demo site shows a contact page, this tutorial will help you get the exact same look and functionality as the demo site shows. Click Install and Activate it (it gets added to the top part of your admin menu group as "Contact"
Paste the code in the contact form 7 plugin and replace their sample form code with ours. Go through the settings for your form, such as the email address and any other form settings you need. Refer to the plugin's own documentation to help you out. Copy the shortcode that you will see. It will look something like this: [contact-form-7 id="260" title="Contact form 1"] and then open the Contact page you made earlier and switch to the "Text" tab on the editor and paste the shortcode below your content area. Click Update and view your page to see if the form shows up. Title this widget as "Company Hours"
In the HTML Snippet file "contact-form.txt" file, copy the code under the label "Company Hours"
Repeat steps 1-4 above for the other widget you need for the "Company Address"
Search for "WP Google Maps" and click install and then activate it. You will see this get added to your admin menu group near the bottom. Go to Maps >> Maps >> Then open the map that is there which is a sample starter map. Using your mouse, adjust the map in the preview window above to position it and zoom in to how close you want it. Click Save Map when happy. Copy the Shortcode that you will see near the top of the page. Go to Appearance >> Widgets >> and drag a text widget into the Banner Wide position, then paste the shortcode there. Many people actually like to hide their page titles for many reasons and apparently is quite common. So what I will do is give you a quick tutorial on how you can do this on a per page basis or globally. To accomplish this, we need a plugin that hides titles; this one will be the "Hide Title" plugin. To hide the title from a page or post, you need to have either of these open in your editor because in the lower right column, you should see an option to disable (hide) the title for that particular page or post. The only caveat when hiding a Post title is that it hides it only on the full post view (single post). However, most common use would be for pages and not posts. The blog offers you a few layout possibilities and it will depend on what kind of blog you manage, but also what kinds of posts you plan to write. 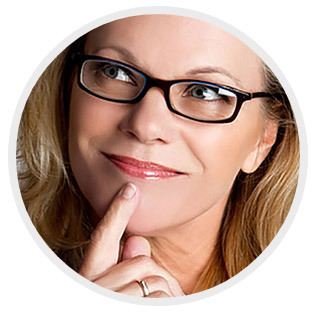 Featured images will also determine what you prefer in a layout, plus size will also be taken in account. I would recommend you prepare your images before uploading them so you have theme ready to insert into your post. Make sure they are optimized too for faster browser page loading, especially when using the wide featured image setting. When planning out your web pages that will include widgets, you will want to take note that some widgets may not look good with a particular style, but with another, simply amazing. This also will be dependent on third party widgets you install into your website as well. You can find the HTML Snippets folder in your original theme package download where the above styles and other classes can be found and used as a reference. For the Image style, this is a special style generally reserved for a text widget that has an inserted image along with content. The snippet text file has a sample for you to use as a starting point. Installing this plugin is optional, but it will allow you to take advantage of the widget styles this theme has to offer. Unfortunately, this is another feature that WordPress does not have built into its core, so a plugin is required to achieve this capability. Once you install this plugin, it adds a form field at the bottom of your widgets which is used to enter in the class or classes to style your widget. Included in your theme download, you get HTML Snippets, and one of them will help you style your widgets as a reference to available styles and colours. To acheive this, we need to use a plugin called Advanced Custom Fields. This plugin is a big one and can do a LOT of things, but for Circumference, we will use it to create our nice headers that you see, along with a page heading and caption. This is also a plugin that does have some learning curve, but once you have this in your site, you can use it for many things. Check out its documentation for reference and "how to" instructions. The benefit here is that you can use this with any theme, not just Circumference...but that's a whole new topic. Name this group as "Custom Header Group" and click "Publish"
Under LOCATION, set the Rules as "Page Type" "is equal to" and then "Parent Page(has children"
Under OPTIONS, set to "Normal (after content" and Style as "Standard (WP Metabox)"
Select Field Type as "Image"
Return Value as "Image Url"
Select Field Type as "Textarea"
Formatting as "Convert HTML into tags"
Just like the screenshot above shows, we are going to add a custom background to a page header. First thing we need to do is make sure you have your header background image created, because we need to upload this to our Media Library. Open a page or create a new page that you want a new header background for. Make sure the Custom Fields meta box is showing on the editor's page. If not, at the top of the screen, click on Screen Options and then put a checkmark next to Custom Fields. Now it should show further below the editor. Click on the text link in the Custom Fields box, labeled as "Enter New". Click on the "Add Custom Field" button. Click Publish or Update for your page. Now you should be able to view the page and see your new header background. You have the choice of adding a header background if you want a different one from the default style, or you can keep the current one. This part of the tutorial will show you how to add a page header caption like the screenshot at the top of this tutorial page. In your original theme download, go to the HTML Snippets folder and open the custom-fields.txt file and copy the last line which is a sample header caption. Now you should be able to view the page and see your new header caption. After you have added your custom field to the page at least once, you do not have to do that again. For new pages, simply select the custom field from the dropdown list and then add the values to the value fields only. By default you get a basic recent posts widget that simply displays text only which usually is the post title that is linked and perhaps the date. The Recent Posts plugin gives you a very flexible widget to display your latest posts with several optional settings that includes enabling or disabling elements, adding thumbnails, control your excerpts, and more. I would recommend you check out the developer's documentation for this plugin. Change the category ID's 1,2,3, etc., to your own categories because everyone will have different ID's. Separate each ID with a comma. Please note that in order to display a thumbnail, your post needs to have a "Featured Image" attached to it. You have another option when creating galleries in your web pages and posts by using a custom gallery that is included as a snippet, but also using the Widgetkit plugin. The Widgetkit plugin offers some gallery functions such as Spotlight which is a hover effect over the thumbnail, but it also offers a lightbox window to view your gallery as a slideshow. **Your full size image can be any size you want because they will open in a lightbox window. When you make your thumbnails, I recommend you keep the name of your thumbnail file related to the full size by adding a suffix like -tn (short for thumbnail) to the end. For example, if your full size photo file is named "flowers.jpg", you will name your thumbnail as "flowers-tn.jpg" to help organize your images and keep them together. Once you are done preparing your photos, upload both the full size and thumbnail versions to your Media Library. I would also recommend that you copy and paste the URL's of each thumbnail image into a text file somewhere for safe keeping because we will need these URL's shortly. With each image being uploaded, you will see an "edit" link. Click on that for each one and in the upper right corner you will see the following File URL field. Click in the url box and select the url and copy it by doing Ctrl C (for windows users) or Cmd C (for MAC users). Copy the first thumbnail URL and paste it in a text file for each gallery image. So if you have 8 images, paste the same copied URL 8 times. Go back and just change the file name for each one, because your path will be the same for each image; just the file name itself changes. Install it just like any WordPress plugin and activate it. It gets added to your admin menu group near the bottom. This is part of Widgetkit that activates the lightbox when you click on a thumbnail. The group:mygallery; name is the part that groups your thumbnails together so that you can view them as a gallery slideshow. You can change mygallery to any name you want for each new gallery you make. Find the Circumference-package folder from your download and go into the HTML Snippet folder. Now when you mouseover a thumbnail, you get a hover effect. Because these image styles use CSS3, some browsers may not recognize the style attributes applied. IE8 will be one browser that will ignore these styles. Instead of circles, you will get the squared image style. When using this image style, please note this is a beta style because of its unusual design concept. Try it out and if it works well for everyone, it will be kept as an option. For alignment, assign the class to the <div> container, not the image. In addition to this page, you can obtain image styling code from the HTML Snippets folder in your original circumference-package download. Open this file and copy the code, or at least the class you need. The slider on the Circumference demo website is optional, but this tutorial will help you get setup if you decide to use the Widgetkit slideshow. This plugin is free to download from yootheme.com and once installed, you can take advantage of the custom theme (style) that I created for it. As a side note, you do not have to use this slider if you have a different one in mind. With the Circumference theme, you get a custom theme for the slideshow to match what you seen on the live demo website. You can find this style in the the "circumference-package" folder, then in that you will find a folder named "widgetkit". In that is another folder "slideshow", and then inside that is a folder named "circumference". You should see a folder inside "styles" named "default" which is the default theme (style) for the Widgetkit Slideshow; circumference will be installed there as well next to it. An FTP program is something everyone should have. It lets you log into where your website files are located and where WordPress is installed. If you do not have an FTP program, you can use a popular free one called FileZilla. The first thing you will want to do is prepare your slides (images) and have them ready to upload. You can have them any size you want, but as a reference, I recommend using the best quality and largest images you can use. For high resolution and big screens, 2560 pixels wide would accommodate 27" monitors. For 22 - 24" monitors, 1920 pixels wide would work well. For slides that are to be the width of the page content itself (not full width), this would be 1140 pixels in width. Height can be almost anything you want, but remember that this theme and the widgetkit slider are responsive, so the height will be relative to the width as the window resizes. To give you another reference, the slides I have on the demo website are 2560 x 600 pixels at their fullest size. Adding slides is almost like creating a post, but instead of adding content into the editor, you are adding a slide image by inserting one from the editor's Add Media button on the first slide. 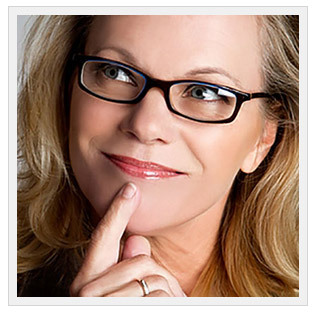 For your Caption box, you will add some HTML and text. You can use the caption sample further below to get you started. Replace the text with your own caption content and adjust the positioning and styling as needed to accommodate the subject matter in your first slide photo. This is a sample caption from the first slide on the demo site that you can use. Depending on what the subject matter is in your slide photo, you may need to adjust the positioning (margins) and colours based on what your slide is. This allows you to get creative and to make each slide different. For positioning, I used percentages on the margins which is relative to the window size (responsive effect), but you can use pixels if you are more comfortable with that. Change the colours (HEX values) so that you can colour the text based on the colours in the photo's subject matter. Add any additional inline styles that works best for your needs. Managing fonts and providing a large selection of fonts within a theme is actually very difficult because of how many are used throughout the theme. You have font families, font sizes, line-heights, and even the issue of who is viewing your website because fonts for Windows and MAC's are very different and some fonts that might be available on one, may not be available for the other. The best way to manage fonts, more so if you want to choose different fonts is to use a font plugin, something like WP Google Fonts, or any other font plugin that grabs your attention. When using a plugin, it means you can use it on other themes, should you decide to change themes down the road. It also lets you target select elements in your web pages such as headings or other elements that have classes, to change the font for that item only...things like the font, size, bold, and any other font style attribute. The other method would be to use a child theme which is what many will do because you can override the parent theme's own stylesheet with the child theme one. This also protects your changes whenever you update the theme (parent theme). Likewise, you can also use a CSS editing plugin as well. However, the one reason why you would use a font plugin is to have the choice of 100's if not 1000's of fonts. Controlling fonts in Circumference is kept to a couple of settings, but does not include a feature of choosing a font (use a font plugin). However, you can still manage font sizes from one of two settings found in the theme's customizer under the tab "Typography". Generally the base font size for a website will be 100% which also means 16px, and then in em's, this equals 1em. So if you look at the default font size for the content area of this theme as 0.813em, this will equal 13px if the base font size is 100%, 16px, or 1em. Most of the time, your theme will be set as 100%. How you use these will be up to you, but for most of the snippets that relate to in-page elements like icon boxes, list styles, etc., these text files also contain some instructions which you may want to print off as a reference for each one. Over time, more snippets may be added to the theme package and some may get updates. Circumference is built using Bootstrap and the overall width uses the grid system. Basically the width is made up of 12 grid columns and uses css classes to create varying widths of containers, for example, the logo container and the main navigation container uses this method where the logo is 5 grid columns wide and the nav is 7 grid columns wide. Make sure your columns are wrapped with a container that uses the class="row" so that it keeps your columns grouped. Circumference uses font icons from icomoon.io which means you can have different sizes just like a font. You can use icons almost anywhere, especially with the html snippets that Circumference has like "icon boxes". You get a preset selection of icons available to you, but you can always add more to your theme by using the icomoon.io/app and the included selection.json file in the icon folder to add to the existing selection. The icons are added to the style.css at the beginning and looks like a massive long string of characters...this means that the font itself is embedded directly into the theme from the stylesheet. The WordPress editor has this nasty way of deleting empty tags such as the ones shown above. It appears the <i> option is better than the <span> when adding icons to your page or post content because it won't strip this tag out. When adding icons to a theme file, then using a <span> is acceptable. Choosing a page builder plugin is something you will need to sit down with a coffee and explore what choices you have by searching Google for "WordPress Page Builder Plugins" and see what comes up. 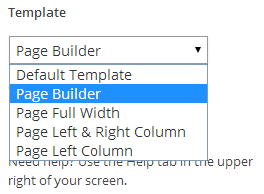 One in particular will be the Page Builder plugin by SiteOrigin and appears to be a popular (free) option. Basically you have the choice of free ones and paid ones. To get your own home page (front page) to look like the live demo site, this tutorial will help you through the process. There are parts that relate to other tutorials, so I will provide links to them, rather than re-type them out here (also because they will have videos). Please note that you can create any kind of front page you want, but this tutorial will show you how I did the demo site one. Name this "Home" and select the page template "Page Full Width"
In the right column, check the box for "Hide Title". This will hide the page title "Home" from the front-end. Scroll further down the page and uncheck the box next to "Allow Comments". If this doesn't show, go to the top of the screen and click on the upside down tab "Screen Options" and then check the box next to Discussion. In the original download of your theme, go into the HTML Snippets folder and open the text file "front-page-demo", then copy the code. Paste this code in the "Text" view of your editor. I recommend you change and edit the sample content while in the code view if you can because doing it from the "Visual" view is a bit tricky. If you delete the content then type in new content, you might delete the <div> containers this code has. **If you don't have this text file, contact me. For any images, upload new images 250x140 pixels (can be any height you want) and copy their File URL and replace the sample ones in the code snippet. Make sure your WordPress settings >> Reading >> has the Front page selected to use the "Home" page you created and the blog one (if you have a blog) set as your posts. Go to your theme download package into the HTML Snippets folder and open the text file "call-to-action" and paste the code into the text widget. With the Display Widgets plugin, this will add a setting to the bottom of the widget which you can "Show" on the pages you choose; in this case, the front page. Go to your media library and upload each logo image. 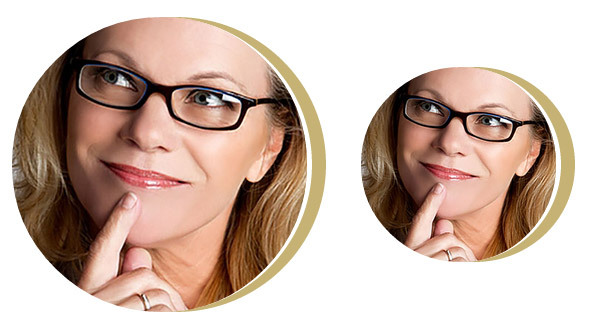 Your logo image widths will depend on the logo size, but try to make the height the same for each. The demo height logos are 60px. Make sure after you upload each logo image, you click "Edit" to get the File URL and copy it to a safe place for each one because we need this shortly. Go to Appearance >> Widgets >> and drag a text widget into the Inset Bottom widget position. Go to your theme download package into the HTML Snippets folder and open the text file "logo-bar" and grab the code of your choice, with or widthout links. At the bottom of the widget, choose to "Show" the widget on the front page only. This step requires you to follow the slideshow tutorial which also offers a video as well on how to set this up.